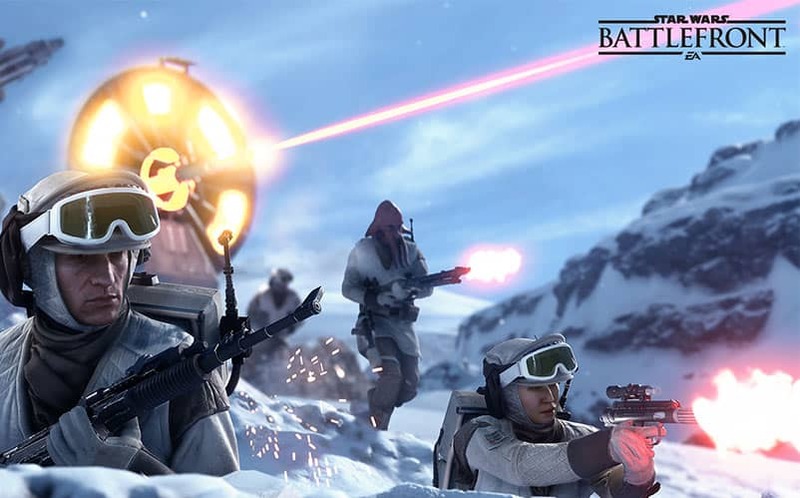 DICE Confirms Star Wars Battlefront Dedicated Servers | Nerd Much? It looks like DICE and EA have taken a major step in the right direction with the upcoming Star Wars Battlefront game, as DICE has announced that the game will use dedicated servers. We recently learned that the shooter will use skill-based matchmaking instead of offering users a server browser (like the one that exists in all of the Battlefield games). When that announcement was made, gamers weren’t sure whether or not Battlefront would still use dedicated servers. Luckily, thanks to PlayStation Lifestyle, we have confirmation that the game will, indeed, utilize dedicated servers. This is a big +1 for the Star Wars game, given the fact that console games don’t typically run on dedicated servers. Most games use a player-to-player matchmaking system that will see players hosting a game, which means the game only runs as well as that person’s internet connection. The advantage to utilizing dedicated servers is that they have a superior connection strength, meaning less lag and less drop-outs. The Star Wars Battlefront release date is set for November 17 on PC, Xbox One, and PS4, with an open beta coming in October (which we’ll definitely partake in). For more on all things Star Wars and Battlefront, stay tuned to Nerd Much.